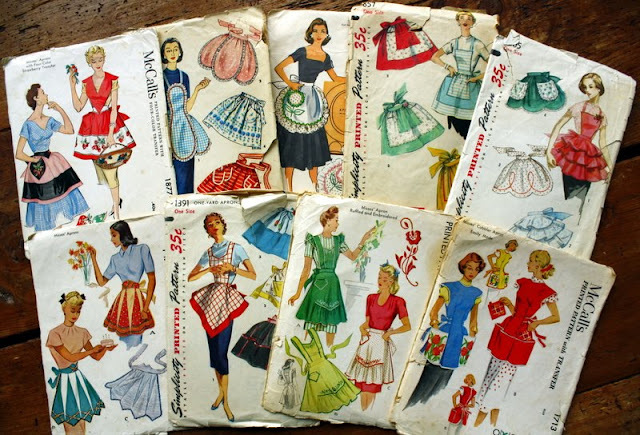 Since I envision myself as a 1950's housewife (think non-smoking, of sane mind, Betty Draper) a diverse apron collection is a necessity. I love cranking my Frank Sinatra and taking a moment to peruse my display hooks to carefully choose my pick of the evening. As with most collectable items, it started with one. One singular item in which I fell in love and knew I needed more. 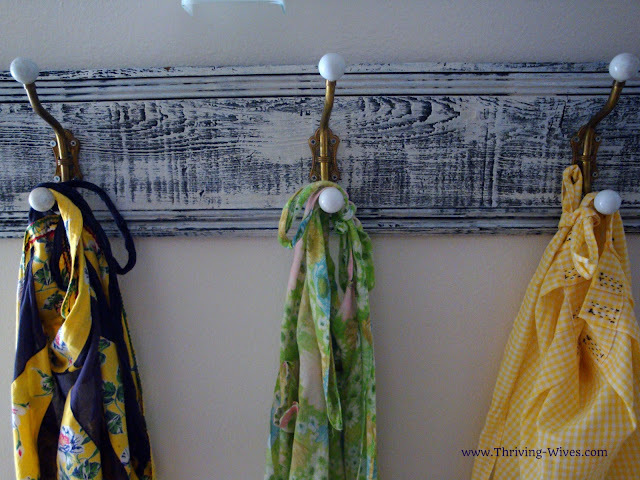 As I grew up and into my Thriving Wife-hood I realized that aprons were a must for my life. They made me feel flirty, fashionable and added a bit of personality to every occasion. My Thriving Mommy made some excellent contributions to my cause and I snagged some from my Grandma and Great Grandma as well. In piles at flea markets, heaped on tarps at garage sales, I would always spot a keeper and quickly snap it up. 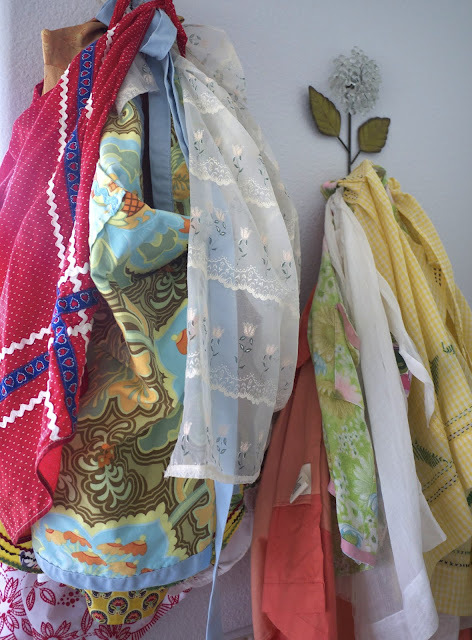 When word started to spread that I was a devout apron lover, you can imagine how many beautiful aprons I received as gifts...and LOVE to showcase. 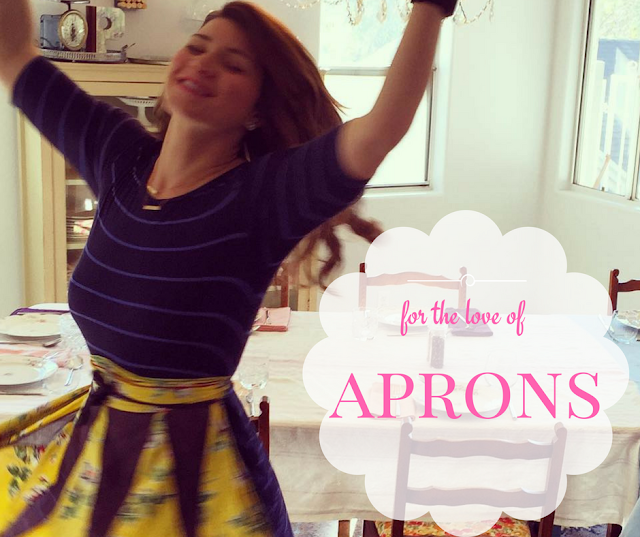 One for each season, holiday and occasion; to me there is nothing better than a beautiful apron to put the Thrive in Thriving Wife. Flirty, floral, scalloped, laced or embroidered...I'll take 'em all! 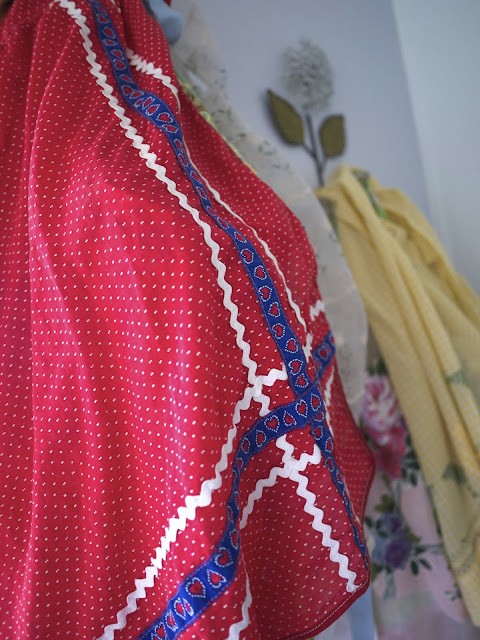 Do you collect aprons? Which designs are you draw to?